Abstract Interior Of Assorted Classic Empty Picture Frames Against.. Stock Photo, Picture And Royalty Free Image. Image 43692172. 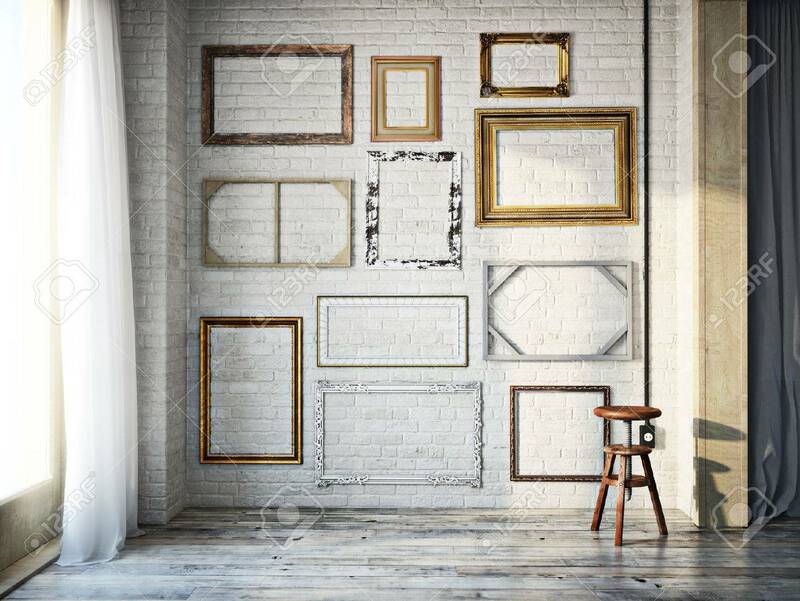 Stock Photo - Abstract interior of assorted classic empty picture frames against a white brick wall with rustic hardwood floors. Photo realistic 3d model scene. Abstract interior of assorted classic empty picture frames against a white brick wall with rustic hardwood floors. Photo realistic 3d model scene.